Santos' GLNG project at Curtis Island. 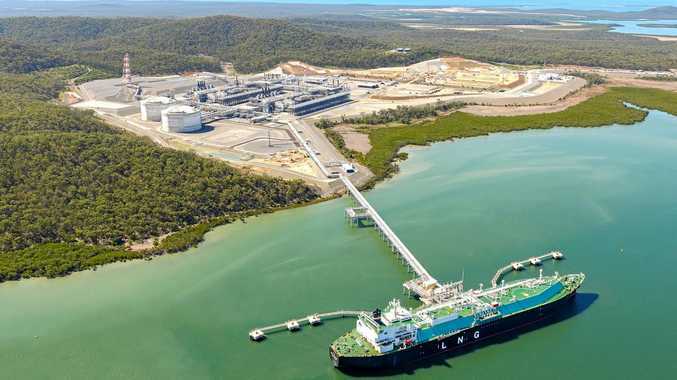 GAS giant Santos has slashed $1.1 billion from the value of its Gladstone Liquefied Natural Gas project on Curtis Island as it continues to deal with low oil prices. The write-down of GLNG was announced yesterday and will be reflected in Santos's half-yearly results this month. It follows Origin Energy's decision last week to write down $1.2 billion from the value of its Australia Pacific LNG project. "Santos has lowered its Brent oil price forecasts to US$50/bbl in 2017, US$55/bbl in 2018, US$60/bbl in 2019, US$65/bbl in 2020, US$70/bbl in 2021 and US$70/bbl (real 2017) from 2022," Santos said. "As a result of the changes in assumptions, Santos expects to recognise an impairment of GLNG of approximately US$870 million (AU$1.1b) after tax, predominantly due to lower oil prices." It is the third write-down of the GLNG venture, in which Santos has a 37.5% stake, after a $565million write down in February 2016, and $1.5billion in August last year. A write-down is a reduction in value of an asset. 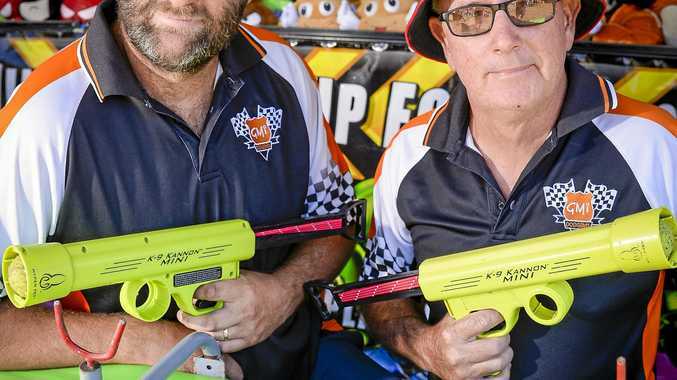 the company "continued to lose money for its shareholders". "Earlier in the year, IEEFA predicted that Santos had overvalued its Gladstone LNG asset by US$1billion asset," gas analyst Bruce Robertson said. "It would appear that investors in Origin and Santos can look forward to further material write- downs in Santos's GLNG venture and in Origin's APLNG joint venture," Mr Robertson said. Meanwhile Santos announced this week further investments into the domestic market from the GLNG venture. Santos has signed an agreement with ENGIE in Australia to supply 15PJ of gas to the Pelican Point Power Station from January 2018, to help support South Australia's energy needs. The announcement comes two months ahead of the Federal Government's decision on whether a gas shortfall will be forecast for 2018, which could trigger gas export caps or bans.